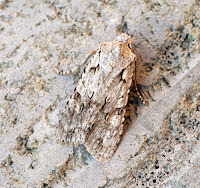 A superb catch last night and despite the stiff breeze, it didn't seem to put the moths off too much. 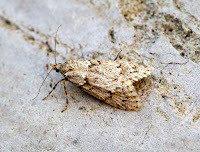 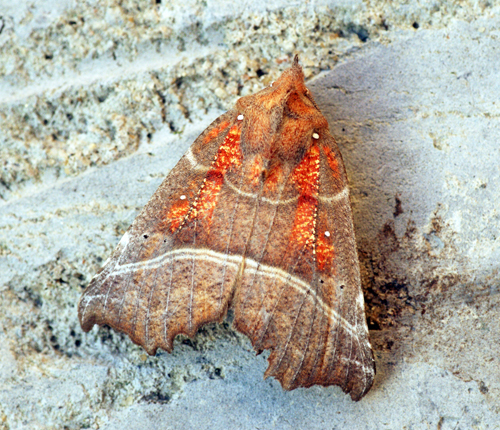 34 moths of 10 species were found in and around the trap. New for the garden was Diurnea fagella which I didn't expect as not many people have been reporting it yet this year. 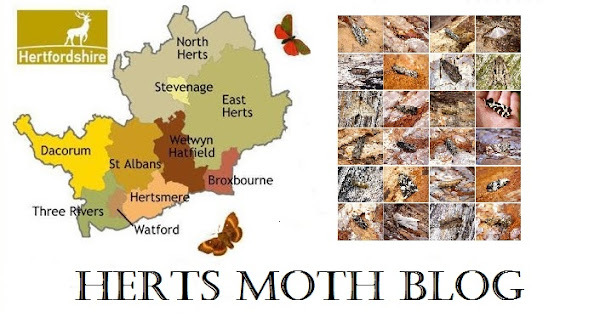 Interestingly of the 34 moths, only 2 were at my light (searching extensively with the torch) fro 8pm til 11pm, bearing in mind our streetlights go out at 12.15am, is this having an effect on them I wonder? 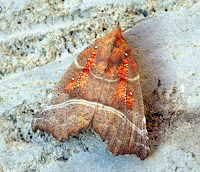 Star of the catch was a Herald, a moth I don't see too often and only my 8th record.